Surrogacy in the UK is legal. The element of surrogacy which is illegal in the UK is the commercial element, i.e. paying your surrogate. In some countries commercial surrogacy is legal but any money paid to your surrogate will still be carefully scrutinised by the UK courts. 2. How much do surrogates get paid? UK courts do recognise that in some countries commercial surrogacy is legal. Any sums paid to the surrogate must be reasonable as they are assessed by the UK courts. The reasonableness of the amount paid to the surrogate through ‘expenses’ would depend on the ‘going rate’ in that country or state. 3. Who are the child’s parents? Under UK law, the surrogate will be the legal mother of the child. If she is married, her husband will be the legal father. It is of no relevance that they are not biologically related to the child. To change this position, an application must be made to the English court post birth. 4. Does the surrogate have to be based in the UK? No. You are free to choose whether you select a surrogate in the UK or abroad. Your surrogate does not need to be somebody that you know. 5. 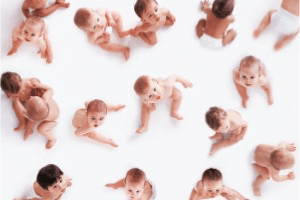 What happens if the surrogate refuses to hand over the child? Under UK law, court proceedings would have to be issued as the surrogate mother would legally be the mother of the child regardless of whether or not there is a biological link. In some countries, such as India or certain US states, all parental rights are surrendered by the surrogate prior to birth and therefore the birth mother has no right to keep the child.